Located in a private setting among acres of pine trees, Vale do Lobo is a picturesque destination along the Algarve in Portugal. This family friendly resort is surrounded by the Ria Formosa Natural Park on one side and the Atlantic Ocean on the other. Sports minded guests will enjoy the two 18-hole golf courses and the Tennis Academy located near the resort. 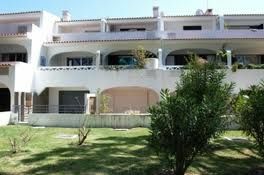 These Algarve timeshares for sale can offer one and two-bedroom units at Vale do Lobo. These units will sleep from two to six people with a pull-out couch. Each unit also features a large modern bathroom, a full kitchen with stove and refrigerator, spacious living area with television, and private outdoor space with a plunge pool. This sun-filled destination is a perfect place to enjoy time with family and friends while enjoying a drink around the fireplace or relaxing near the outdoor private swimming pool. All timeshare units have magnificent views of the surrounding landscape and some rooms overlook the ocean. Free Wi-Fi is also available in some rooms and many public areas of the resort. On-site amenities include access to two amazing 18-hole golf courses with beautiful views throughout the courses. Guests will also enjoy the Tennis Academy, offering lessons for both children and adults. Easy access to the swimming pools and beach area are perfect for a sunny day and enjoying time with the family. After exploring the area, guests can make an appointment at the luxury spa for some quiet time and pampering. A children’s club and childcare are also available for an extra fee. This area of Portugal is an excellent family friendly destination with a variety of activities for your entire group. 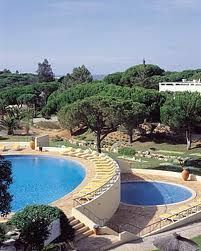 These Algarve timeshares for sale will offer both large family units and small intimate retreats at Vale do Lobo. Guests who visit the resort can enjoy surfing and waterskiing just off the beach in addition to hiking and biking through the scenic area surrounding Lobo. Local shops and authentic restaurants make this location an excellent destination for your next getaway with family or friends. Contact Vale do Lobo Specialist Today!